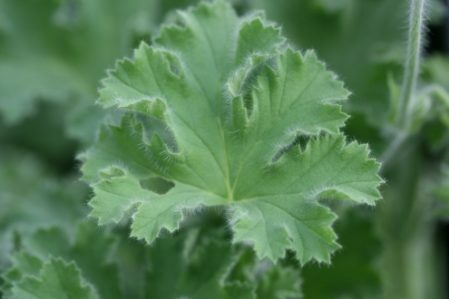 Scented Leaf. 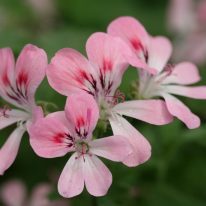 Vivid pink flowers with strong feathered markings on upper petals. Perfectly arranged on long stems. 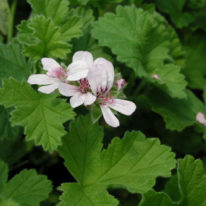 Soft moss green trilobed foliage scented of rose, although some say lemon. 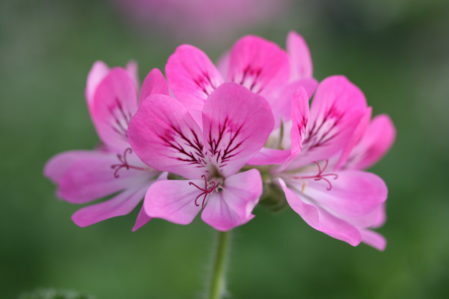 Often incorrectly named ‘Pink Capitatum’. 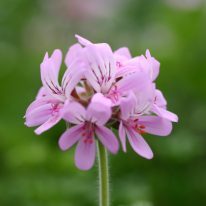 Although a clear hybrid of Pelargonium capitatum the flower shape and foliage structure is completely different.